Measuring business metrics is imperative for all successful companies, particularly for fast-growing, Cloud/SaaS companies. 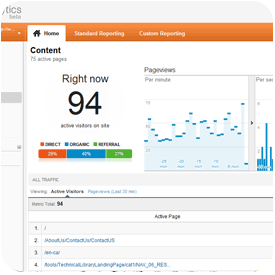 There are a variety of best practice metrics that each one can use to efficiently measure its performance. And there is one thing that all businesses need before deciding which metrics matter most: the proper technology. Here are three reasons why. Best practices in pl anning and metrics analysis is no longer a top-down, centralized function. Senior management, line managers, and employees across all departments need to be part of the revenue planning process in order to gain the most accurate insight into overall performance, and the optimal buy-in to its implementation. Such an inclusive planning and measurement process requires broad collaboration, which is why unreliable spreadsheets are insufficient for modern metric measurement. As Steve Player noted in his Top 10 Budgeting Mistakes webinar, spreadsheets are great personal productivity tools. But when you share that tool across two or more desktops, problems occur. Excel is definitely not best practice. For that matter, cumbersome, expensive, IT-intensive products such as Oracle Hyperion are also no longer best practice. Cloud-based reporting software offers the most efficient, intuitive way to track metrics, and collaborate across departments. 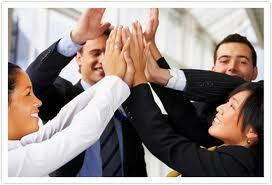 Cloud-based solutions also offer greater scalability for enterprise businesses. It’s difficult to achieve broad collaboration without visual analytics. Remember that measuring metrics is no longer the sole job of finance departments. If you have the right people involved, the majority of them will actually not be “numbers people” by trade. 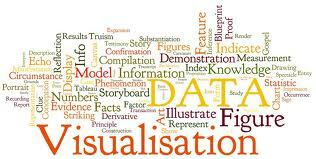 Data visualization is the most all-encompassing medium to explain overall business performance. More people are likely to understand the story told by the direction of a graph, dial, dashboard, or an organizational workflow chart, than raw numbers in a spreadsheet. Just remember that not all data visualization software is created equal. It’s important to find a solution that’s focused on usability, which includes intuitive interfaces and customizable features that allow you to tailor visuals to your specific needs. Seamless integration to your planning, consolidations and reporting is key as well. Executive management demands metrics on a real-time basis in order to make the most informed, efficient business decisions at any time. That means there’s no time for emailing updated spreadsheets and managing version control issues. Slow, cumbersome, expensive on-premise planning systems are no longer being tolerated. SaaS-based corporate performance management (CPM) solutions allow everyone involved in the budgeting process to update metrics in real-time from a central, easily accessible location. Mobile device support is also important as it gives businesses greater flexibility and access from places like customer sites. Today, best practice means having intuitive solutions that are easy to use and quick to deploy, with powerful features that do not require significant IT intervention. Such solutions give businesses the level of collaboration and scalability needed to constantly innovate and grow. David Pefley is the CFO of Adaptive Planning. David has more than 25 years of senior level finance experience managing rapid growth for leading public and private technology companies. As a long-time CFO and finance professional, he is keenly aware of the challenges that CFOs face in managing better planning, forecasting, analysis, and business performance as well as the benefits of the Adaptive Planning solution in driving speed, accuracy, and productivity into the process. He is adept in formulating business strategies, utilizing teamwork and planning to succeed in competitive markets, and driving rapid growth and increased profitability through hands-on management. Prior to Adaptive Planning, David held CFO or senior financial leadership roles at several large, global, high-growth software and technology companies including KLA-Tencor, National Semiconductor, Yield Dynamics, Virtutech (acquired by Intel), Daisy Systems, and Aspect Development (acquired in one of the largest software mergers in history). At KLA Tencor, he managed financial and business planning efforts at the company as annual revenues increased from $113 million to $1.2 billion. David earned a BA in Economics from the University of California, Davis, and an MBA from Cornell University.